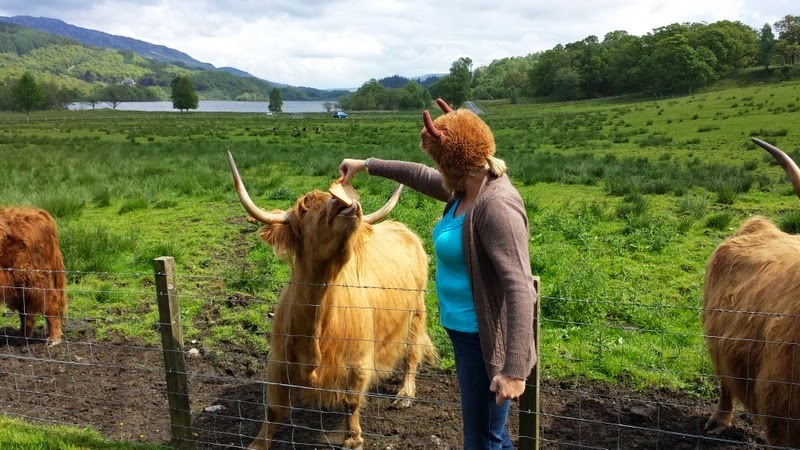 What's it like rollin' with Hairy Coo tours in Scotland? Take a look and see! But first - know that their Scottish Highlands tour is free. Yes. Free. And it's good fun all day long. or just get some coffee and a pastry. "Brave Heart" of Scotland is! Hairy Coo Hats! Critical for successful photos. royal flag over your home? A great day all around! If you're in Edinburgh and have a free day for fun and adventure in the Highlands, this is the way to go. What's your favorite thing about Scotland? What's up on top of Waipoli Road?